Ensuring caregiver safety is among the most important aspects of any treatment plan. Fulfilling these needs, Ellsworth Medical is a preferred distributor of RoMedic Safe Patient Handling products. 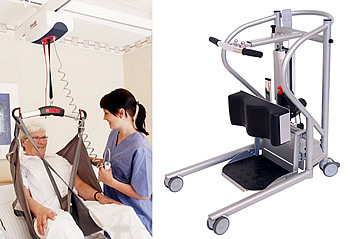 From home-based care to skilled nursing facilities, we install, service, and instruct the proper use of ceiling lifts, portable patient lifts, sit-to-stand devices as well as provide the tools necessary for patient positioning, transferring, support, and lifting. Our products are designed to provide the best care possible for the patient with safety and proper ergonomics for the caregiver. For more information, contact us today at (860) 298-9333.